Promote Steempayco and get upvote! We are Steempayco team, and looking for great Steemians who can promote Steempayco in their countries. Now we have prepared 57,000 Steem Power entirely for this promotion. Write a post about Steempayco in English or your language and get upvote. Please continue reading for more detail. 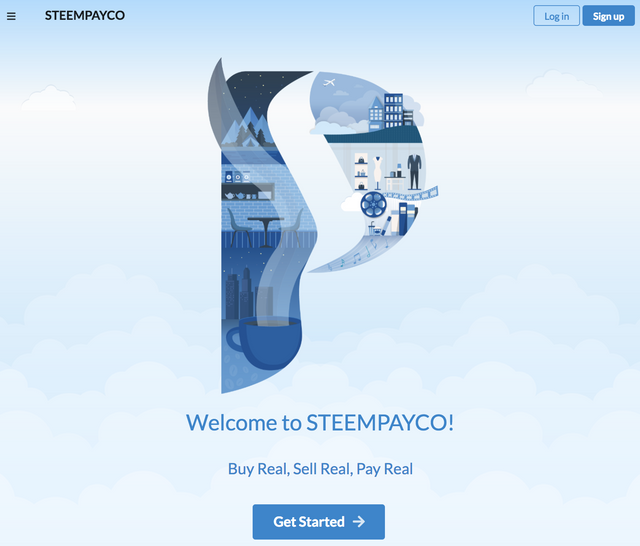 Steempayco is a web app that is invented to dramatically simplify the painful process that sellers and buyers need to take all the time when using Steem Dollars. The ultimate goal of the project is realisation of the Steem Dollars based on/offline commerce. For now only the offline feature is implemented, but you could use it for online for some cases. I believe Steempayco can become an alternative payment method in underdeveloped countries and developing countries. Fiat currencies in those countries are not as stable as that of developed countries. Some of those are even more vulnerable and volatile than Bitcoin. Governments and card companies are trying to rip off the people through the unbearable tax rates and the incredibly high commissions. So why would you stick with fiat for what? Steem Dollars has huge advantages over some of those. Near-realtime transaction, potential to be ultra stable (based on the reverse conversion decesion) and it's on a blockchain! No government, no interceptors interventions. Last but not least, anyone can earn Steem Dollars, and paid in a week. So, what would you do if you have a supermarket who accepts Steem Dollars in your town. What if a poor person can buy his daily food from there by writing good articles? What about a garage. What about a food court. What if a pharmacy accepts Steem Dollars. Don't think about developed countries. Think about underdeveloped/developing countries. It will actually change the world. And we can take the first step now. We need more sellers accepting Steem Dollars to find more buyers. We need more buyers paying by Steem Dollars to allure more sellers. This is going to be a really tough game. I am calling for "Steempayco ambassadors" who currently live in developed/developing countries (although people from developed country are also welcomed!). Their mission is encouraging local merchants to accept Steem Dollar for their business. Ambassadors don't need to communicate with me but I want them to be Steempayco representatives of their countries and towns. New ideas and feedback will be really appreciated of course. Some of them will get continuous upvote for their activities. Casually post and get votes! Apart from the ambassadors, anyone posting a genuine review about Steempayco will get upvote up to $5. Don't forget adding #steempayco tag and resteeming this article! I am talking about Steem and Steemit when I participate in cryptocurrency and blockchain meetup. At that time I may suggest Steem, Steem dollars payment to the business owners. I have not got results yet, but I'd like to continue to talk like that in the future. Just I had such an opportunity last week. I thought it would be nice to be able to pay with Steem and Steem dollars using @steempayco at a shop that can pay in cryptocurrency. I want to be japanese ambassador of @steempayco. Thank you very much! that's amazing..
Could you please let me handle @steempayco japanese ambassador? Please go for it. We hope everyone acts as ambassador, but if you want to lead the ambassadors in Japan, you are more than welcome. I think it can be much better if you take the lead. I will try to support by upvoting for now, and will make the reward higher in long term. Thank you so much. I want to do japanese @steempayco ambassador's leader. I went to a Japanese curry shop "CoCo Ichibanya" today. After eating curry, introduction of Steemit and Steem to the questionnaire. Also I wrote about @steempayco. CoCo Ichibanya is a famous curry shop in Japan. There are about 1,500 shops, including overseas. Since it is a big company, introducing an application may not be easy. But I did a challenge. non-chain small local supermarket or coffee shop can be a good target to start! Can I hold a idea contest "What do you think is necessary for @steempayco to spread in japan?" of course, please go ahead! thanks! We are helping to create a new steemit account at study group of Japanese block chains etc. I would like to advertise your project. I am doing various projects with @steemitjp. Even in Japan, @crypto.hack began using your project. His beauty salon started doing it for the first time in Japan. thank you! we are preparing the store locator, so people will be able to register their shops and that will be shown on Google map! I am a manager of @ steemit-jp, an account that supports the Japanese community. When I make a presentation of steemit, I'd like to introduce your project. I would like to help increase the number of Japanese shops that use Steempayco. really appreciate it. that will be amazing! @tonpa has a wonderful publicity. He writes a case where a shop introduced a service with his introduction. He has many twitter followers, he has very many friends in crypto currency. 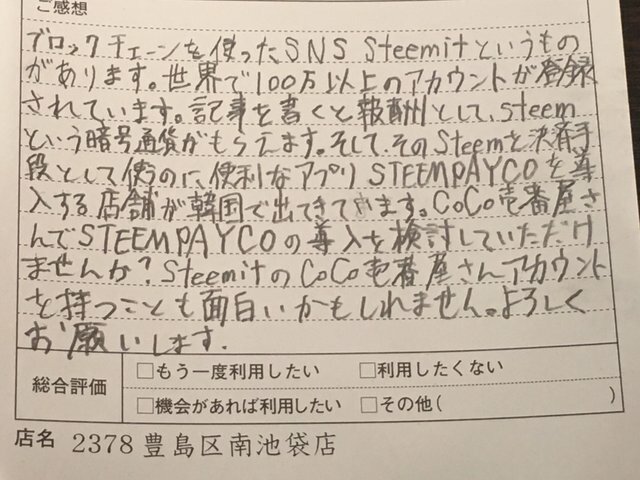 He is spreading steempayco the most in Japan. He will be your good supporter. Dear sir, please add Bangladeshi Taka ( BDT) . To your exchange, buy ,sell site @steempayco . Hi! Thank you for submitting your post to Utopian-io, however it does not follow the template or guidelines for the category. It doesn't include a github repository address, so can't even be connected to any open source project. Feel free to contact me on the Utopian discord for additional information and assistance in submitting future posts. Thanks, do you think SBD could be used in Indonesia to buy food or drinks? In Korea, there's still very very few shops accepting SBD, but it is definitely growing. Indonesia can do better I think! I tested out the website in my video. Woah, I've been waiting for this steempayco feature for more than half year. thank you for the suggestion. I will create one soon! My country is in LDC list. But I hope it will going to move to developing country. I want to be an ambassador. More over I also want to handle the ambassdor in myanmar. I will resteem your post and let my people know about you. I will try the merchants in my country to accept steem and Sbd as a payment. I log into your website. I set up a store. but there is no currency for myanmar. Could you add myanmar kyats in the store. 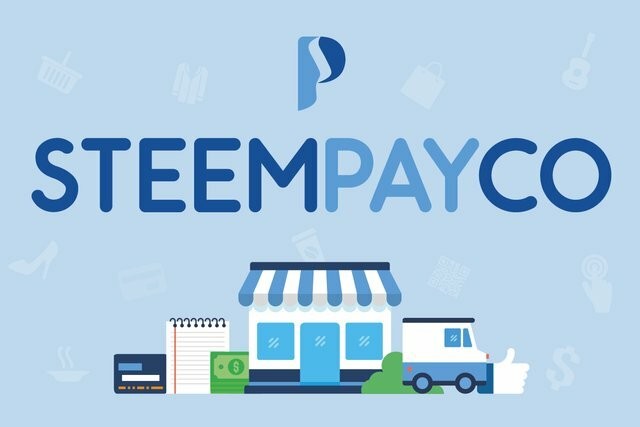 Here is my post about steempayco. I would love to know more about this. Thanks Irene for the great work!